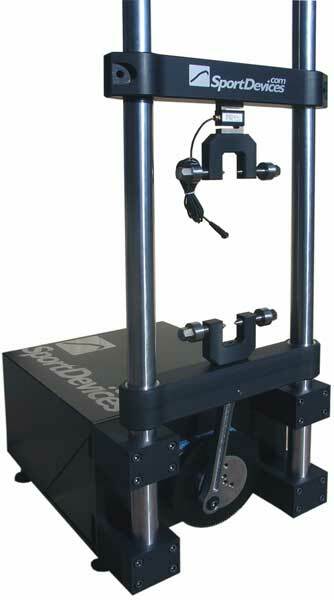 In response to market demand for an affordable shock absorber and spring analyzer test system, Sport Devices is now offering an Shock Analyzer machine (shock absorber dyno). This portable and easy-to-use electric test system, utilizing Piston-Crank mechanism, offers near sinusoidal shock absorber testing capabilities at a fraction of the cost of high-end machines while retaining the required precision and accuracy. By standard the machine offers up to 120mm stroke length, up to 500mm/s linear speed and 9,8kN test range with multiple expansion options available at extra cost. Additional shipping costs may apply – please contact us before ordering.